Influencer marketing can bring a host of benefits to brands. 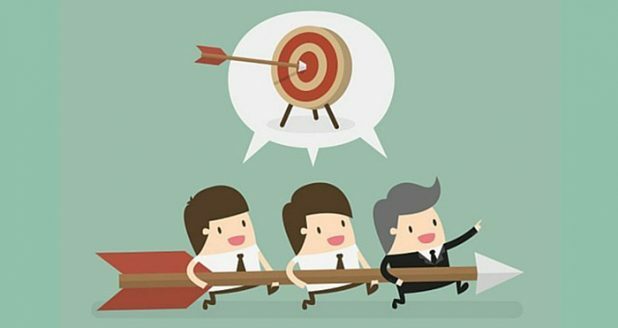 If you’ve yet to include this strategy to your marketing plans, here are some of the ways it can impact your marketing campaigns. Tapping into an influencers’ reach and audience is the main reason influencer marketing continues to thrive. But as the industry has evolved, it’s no longer enough to just partner with random influencers with a certain number of followers. To make influencer marketing part of your smart branding, you need to choose an influencer that produces content relevant to your niche. If you’re a sporting goods company, for example, partnering with a fitness advocate is a great way to tap into their readymade audience. Keep in mind, though, that audiences have learned to place great importance in authenticity. So make sure that the influencer not only has the right audience, but appreciates the value of your work. This way, the feedback will be honest – which will bode well for the credibility of your brand. Another reason influencer marketing continues to thrive is its proven ROI. One survey found that for every $1.29 brands spent on beauty influencers, they got an ROI of $11.38—11x higher than that of banner ads. Beyond monetary return, Iceland Foods saw an increase in approval ratings from 10% to 80% after their target audience was exposed to vlogger content. Of course, you need to practice due diligence when it comes to influencer marketing. One way is to analyze influencers’ niche before partnering with them to make sure that their audience is who you’re targeting. As with everything marketing-related, you still need a solid plan. Just because it’s been a winning formula for a number of brands, you can’t expect to just jump into it and get a favorable result. Apart from an instant audience, influencers can also help you to quickly build trust. They’ve put in the work to build relationships with their audiences, making their recommendations credible and respected. Partnering with influencers that have this kind of relationships with their followers allows you to tap into that trust factor – something all brands are keen on building. It’s not easy to continually come up with fresh content ideas—but that’s exactly what influencers do. They’re always looking for ways to engage their followers, spending time and effort in creating quality content. Partnering with the right influencer not only means tapping into their audience, it also aids your content strategy. 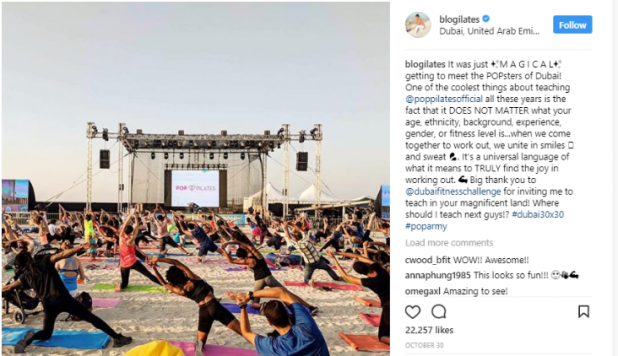 For example, the organizers of the “Dubai Fitness Challenge” partnered with fitness influencer Casey Ho to help promote their event. As you can see below, in a single post, she combined promoting her classes, as well as the event. It’s not a hard sell like a lot of sponsored posts, but it’s still relevant content to help spread your message around. The great thing about influencer marketing is that audiences are the ones who choose their influencers. This means that when you partner with an influencer that reflects the values of your brand, they opt in to you. Having audiences opt-in to your brand plays back to having an easier path to building recognition and credibility, as an engaged audience will want to hear what influencers want to say about your brand. Similar to having access to their audience, a relationship with an influencer in your niche gives you access to your target market. Going back to the example above, it makes perfect sense for a fitness event to partner with a fitness advocate with over a million followers. That’s access to over a million people who are into exactly what you’re selling. This makes it much easier to increase your conversion rates. 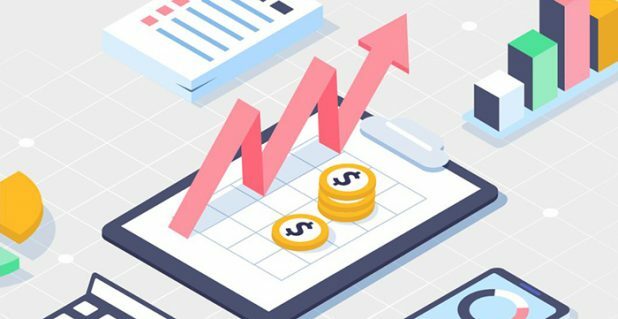 At the end of the day, it’s about revenues – and influencers have the ability to generate revenues. In one study, 40% of the respondents said they made a purchase after seeing an influencer use a particular product. 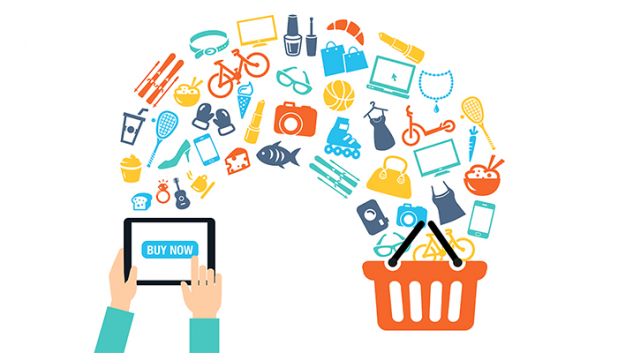 Consumers tend to look to influencers for advice on what products and services to buy. Partner with the right influencers and let your brand be their audiences’ choice. While audiences have learned to tune out influencer-produced content that feels too branded, influencer marketing still beats most advertising options. The average click-through-rate for display ads is at a dismal .06%. Influencers can help you cut through the ad blindness, putting your message and your brand in natural, native content. They’re called influencers for a reason – and that’s because they’re able to drive trends and movements. So if you can find an influencer that not only reflects your brand values, but is a known trendsetter, you can springboard your brand into being a hot topic. And when you’re able to build a relationship with a trendy influencer, you also align your brand as an innovative leader. 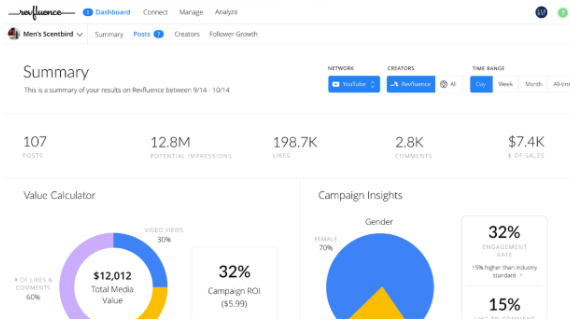 While tracking influencer marketing metrics is more nuanced than traditional marketing initiatives, there’s a simple way to go about it. First, is to establish which metrics you’ll be measuring to track the success of your campaign. This entails identifying campaign objectives and KPIs. 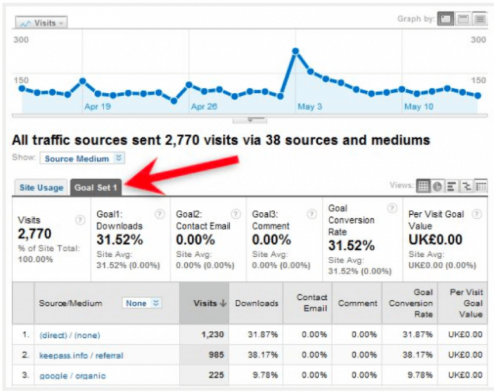 There are a number of tools you can use to track your metrics from Google Analytics and native analytics tools, to a host of other third-party influencer marketing platforms. Most of these third-party tools provide dashboards that make measuring engagement seamless. Then, find benchmarks to measure against. This will allow you to come up with the total value of your engagement. Social channels have their respective average cost per action (cost per like, share, retweet, follower, etc.). Keep in mind that these benchmarks may also vary by industry. It would also be wise to look at the total value gained from the campaign. This means not being fixated on metrics like direct sales. 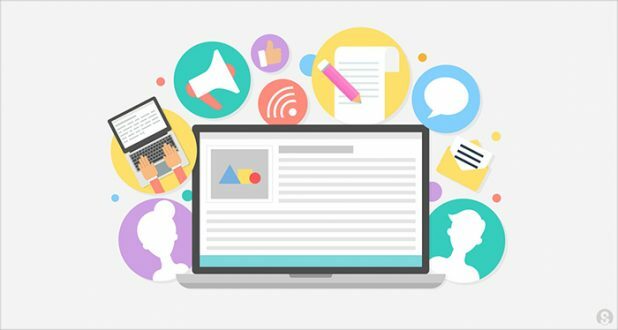 Often, while desired sales may have underperformed, other aspects like engagement and great content are able to bring great value to a campaign. Influencer marketing will remain a key element of digital marketing for the foreseeable future. But this doesn’t mean strategies and trends remain the same. Make sure to keep your finger on the pulse of technology trends and audience behavior. This will allow you to adjust your campaign accordingly. 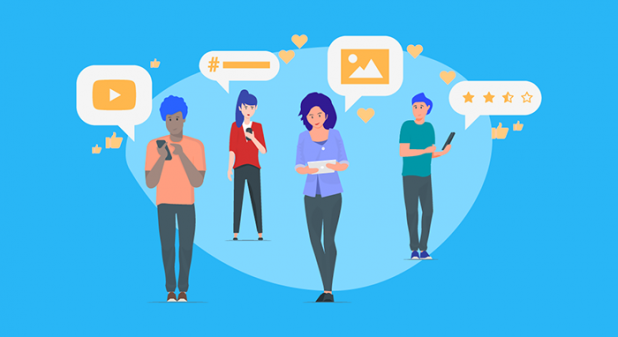 The post How Influencer Marketing can Boost Your Marketing Campaign appeared first on SiteProNews.